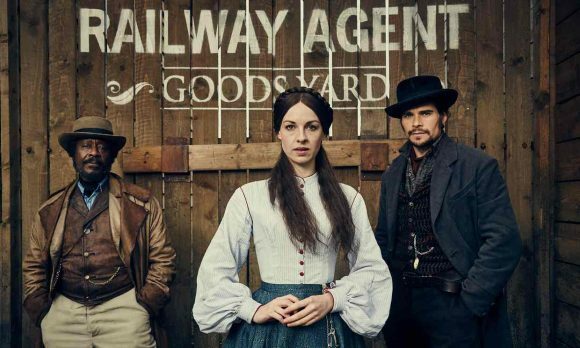 Prime will premiere the British western drama Jericho on a double-bill with season six of Game of Thrones. The two will air back-to-back on Tuesdays, from 8.30-10.30, starting August 9. Set in 1870s Yorkshire, the eight-part ITV series stars Call the Midwife’s Jessica Raine as a schoolteacher’s widow struggling to keep her family intact in a remote shanty town and earned mixed reviews. Acclaimed The Independent: “It’s the intrigue and historicity of Deadwood meets the industrial boom of Peaky Blinders, with more grit and grunts than a packed third-class Victorian train carriage. Lamented Radio Times: “I really do, genuinely, like epics of sweep and scale, yet Jericho just doesn’t convince me. Despite the premiere drawing 3.3 million viewers and the second episode three million, Jericho’s ratings came up short against against the BBC’s Death in Paradise and was axed after only one series. The same week Jericho bows, Prime will farewell Limitless, Stephen Fry in Central America, Elementary and Madam Secretary.